Feminist lawyers have long been engaged in critiquing the gendered nature of South African law. This project has increased in importance and scope as a result of the centrality of gender equality, as a value and a substantive right, in the South African Constitution. 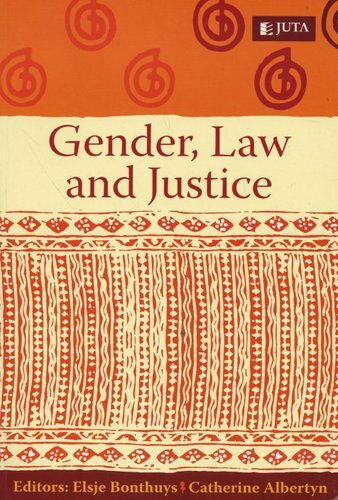 Gender, law and justice provides both theoretical and practical tools to enable academic and practising lawyers to apply concepts of gender equality to the law. It introduces readers to basic feminist concepts and arguments, and to a wealth of local, comparative and international material on gender and the law. 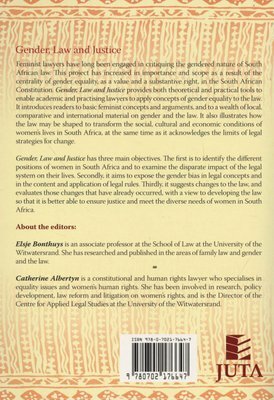 It also illustrates how the law may be shaped to transform the social, cultural and economic conditions of women's lives in South Africa, at the same time as it acknowledges the limits of legal strategies for change. Gender, law and justice has three main objectives. The first is to identify the different positions of women in South Africa and to examine the disparate impact of the legal system on their lives. Secondly, it aims to expose the gender bias in legal concepts and in the content and application of legal rules. Thirdly, it suggests changes to the law, and evaluates those changes that have already occurred, with a view to developing the law so that it is better able to ensure justice and meet the diverse needs of women in South Africa.